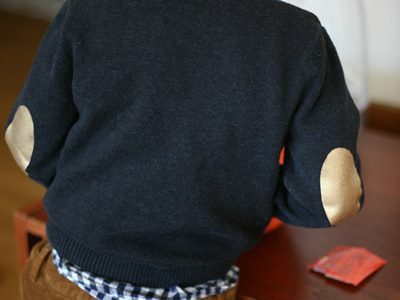 This simple DIY Painted Gold Elbow Patch is made with fabric paint and a freezer stencil—this is a breezy DIY for moms. Learn how to make it! 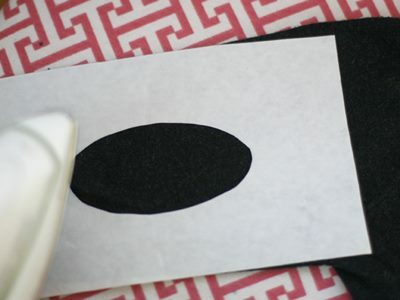 Step 1: Print out 2 ovals about 3 inches long and tape them on top of a piece of freezer stencil. Carefully cut out the ovals. Remember that the part you save is the negative space! 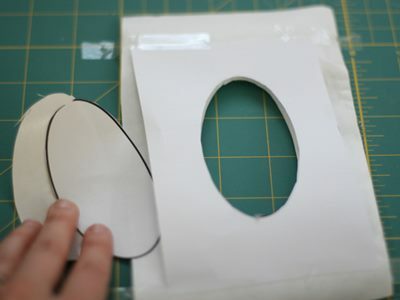 You can discard the 2 oval shapes you just cut out. 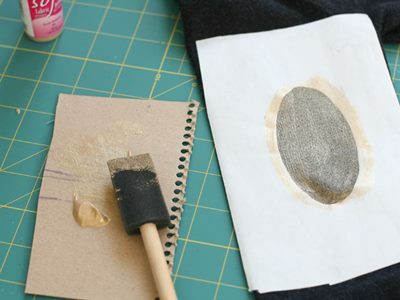 Step 2: Your freezer stencil paper will have a plastic coating on one side which sticks to fabric when ironed. 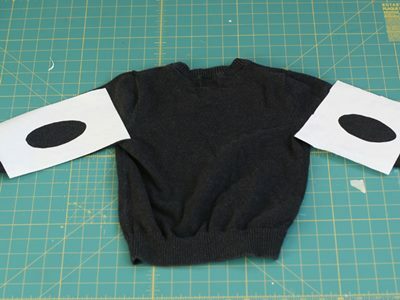 Halfway down the back of one sweater arm, iron on the shape. Make sure it's ironed down thoroughly. Step 3: Repeat Step 2 on the other arm of the sweater. Step 4: Slide a small piece of cardboard into the arm (this is so the paint won't bleed through to the other side). 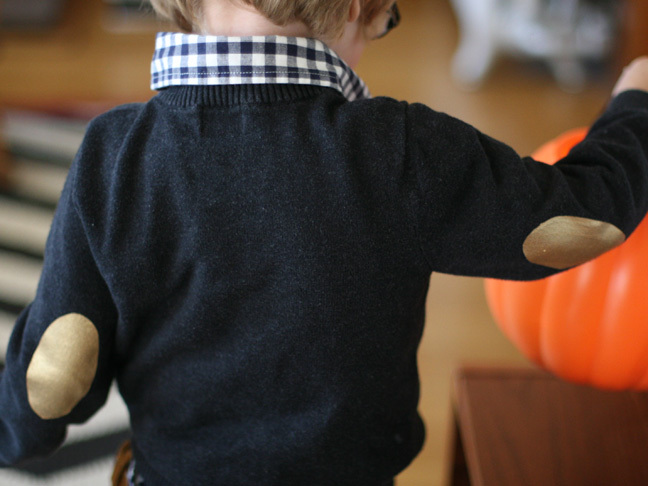 Apply gold fabric paint with a brush. 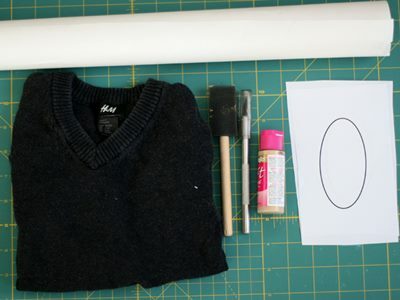 Allow to dry and apply 2 additional coats or until it achieves your desired look. Step 5: Carefully tear off the paper when dry and now you've got gorgeous new gold patches!